The feedback system ​on eBay is one of the most complex amongst major online marketplaces for new and used goods. The complexity in question is the result of years of evolution, and of course, the system continues to evolve. Here are some things that you may or may not have known about the world of feedback on eBay. The feedback percentage that you see in the Meet the Seller area of any auction listing is calculated using feedback the seller has received in the last 12 months. Though some buyers don't like eBay's attempt to keep memories short, it gives sellers a way to gradually benefit when their performance improves over the long term. Are High Scores Always Good? While you don't want to buy from anyone with little or no selling experience, scores are just the total number of positive ratings without consideration of negatives. A seller with a high score might also have an unacceptable number of negatives, so review their feedback in detail and rely on their percentage, not their score. Buyers are often misled by high percentages that would be excellent test scores on an exam but are poor scores when applied to buying and selling. A seller with a 97 percent feedback score has left 3 of every 100 (or about 1 in 30) buyers feeling very dissatisfied. Look for 99 percent or better if you want to stay ahead of the game. You can post replies and follow-ups to feedback, though few users ever do. Such replies and follow-ups appear in a user's public feedback profile. It gives buyers and sellers the opportunity to explain themselves to the public when they're involved in a transaction that goes bad. Use the Reply to Feedback Received page to post a feedback reply, or the Follow Up to Feedback Left page to follow up on any feedback you've already left. You may from time to time run across an eBay member that has used the "Make Your Feedback Profile Public or Private tool" on eBay to make their feedback profile private. Such users are no longer, however, allowed to sell on eBay, and many sellers won't do business with them, so unless you're tremendously embarrassed by your feedback (and shame on you if you are), it's in your best interest most of the time to leave it public for the world to see. If you happen to encounter a seller that doesn't seem to have a detailed seller rating online, don't run for the hills right away. In fact, detailed seller ratings only appear once a seller has done business with at least 10 buyers that were willing to leave detailed ratings for them. Depending on the types of goods involved, this can take dozens of generally positive auctions to occur. Sellers whose feedback ratings aren't quite up to par are penalized in eBay's search ranking system, meaning that many prospective buyers will never see their listings at all. For sellers, this means it's important to keep your feedback good and your detailed seller ratings high. For buyers, it means that eBay is protecting you from problem sellers, but it also means that you should think twice before you give a three-star or four-star rating to a seller. Are you dissatisfied enough to indicate to eBay that the seller should effectively be put out of business? A four-star rating comes close to suggesting this, a three-star rating yells it from the mountaintops. As a buyer, if you fail to complete a transaction with a seller or fail to pay for an item in a timely manner, eBay may automatically remove negative feedback you've left for the seller since you didn't actually complete or intend to complete your purchase. 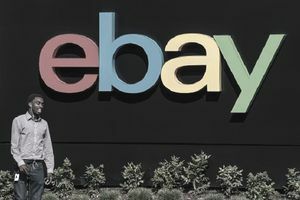 And buyers with a tendency to leave positive feedback but very low detailed seller ratings may be contacted or sanctioned by eBay, since doing so effectively distorts the effectiveness of the feedback system. Just as is the case with disputes, you can't wait too long to leave feedback for a transaction you've been involved in. You have 60 days from the close of the auction to give your opinion about your trading partner; after that, the feedback form won't give you the option of leaving feedback for the transaction in question. As Pierre Omidyar, the founder of eBay suggested, the feedback system remains the core of what makes eBay different from many other online buying and selling venues. It's in everyone's interest to understand as much as possible about how it works and to use with the greatest possible care.